Above: The Wave Version 2. Mixed media. Graphite, pastel, liquid graphite, paint and chalk on Larch wood. Below: Tree drawings on Larch wood sections. Below: A Safe Return. Mixed media drawing. Graphite, pastel, chalk and charcoal on Cedar wood. Approximately 1.5 metres wide. 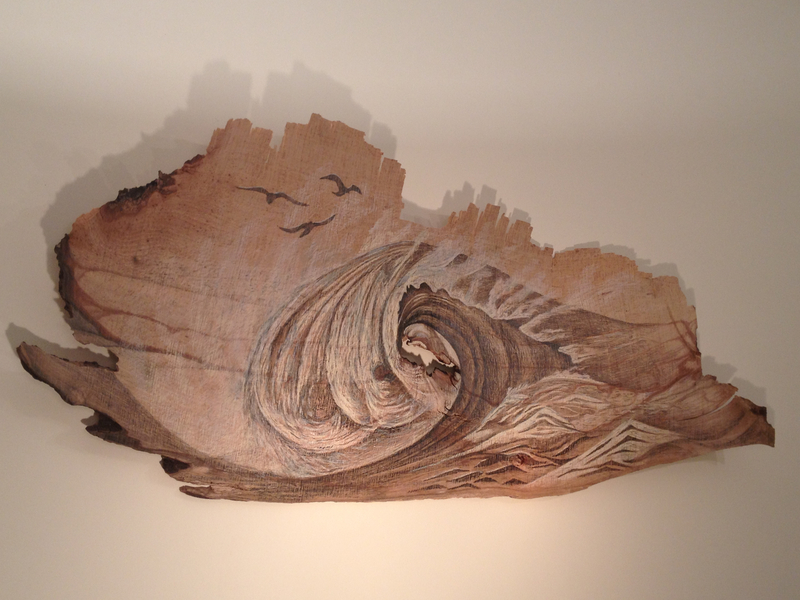 Below: Storm Wave and Lighthouse, on 2 metre Larch Wood slice. 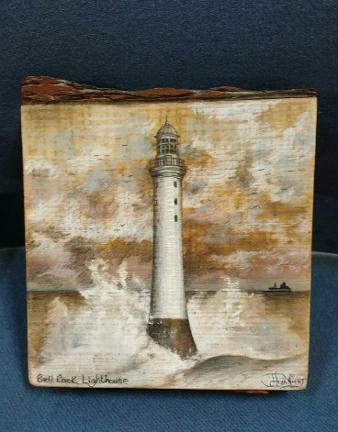 Above: Bell Rock Lighthouse on Beech wood. Below: The Sanctuary, Isle of Skye. Wall mounted, approximately 1 metre wide. Below: The Ring of Brodgar, Orkney. 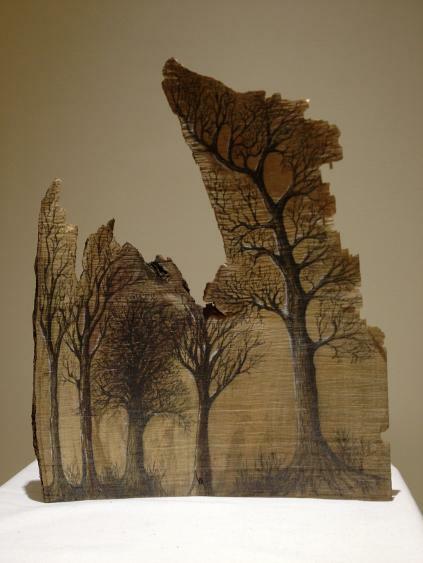 Mixed media drawing on Larch block. Below: St Andrews Botanical Garden. Graphite on self-standing tree trunk section. Below: Scots Pine Tree, Perthshire. 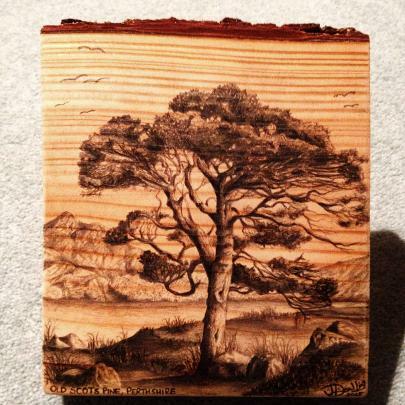 Graphite on larch wood block. Below: Lighthouse. 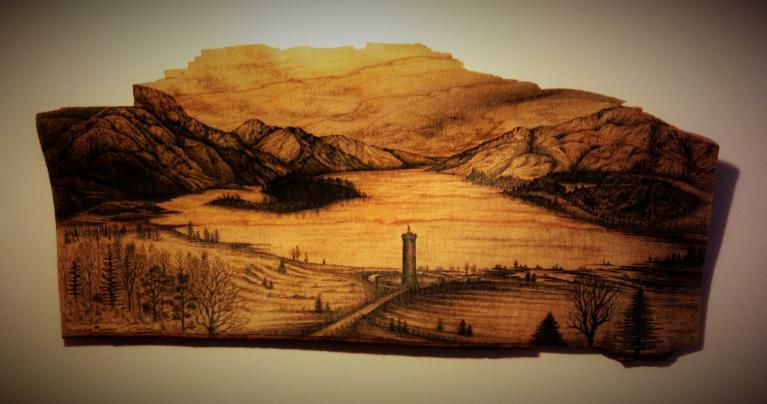 Mixed media drawing on wood block. Below: Standing Stones, Orkney. 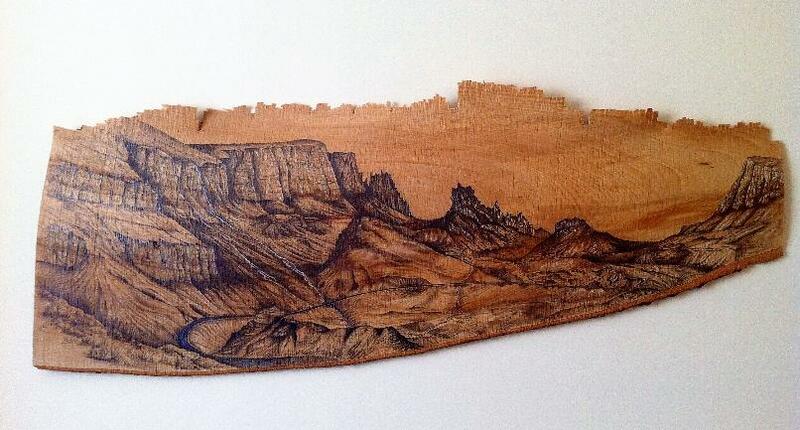 Graphite and pastel pencil on wood slice. Below: Loch Garry, Highlands. 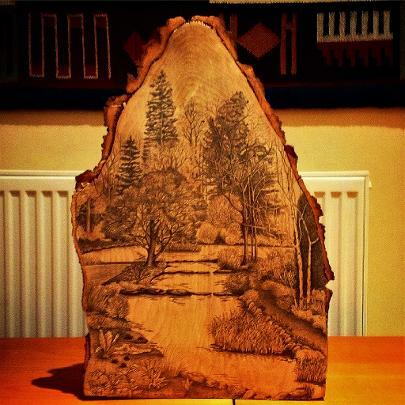 Framed wood slice. Below: Blackrock Cottage, Highlands. 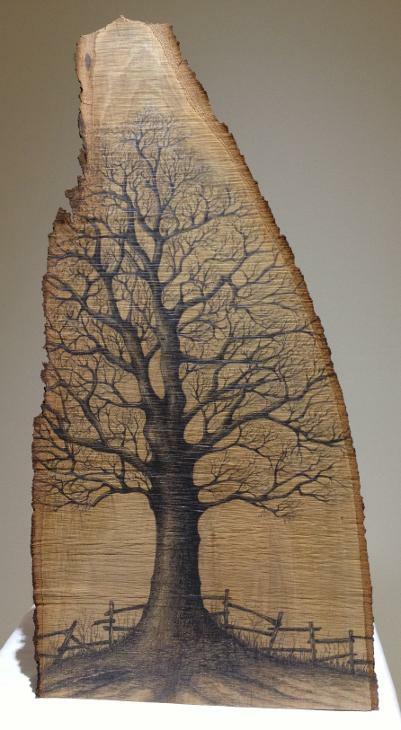 Framed wood slice.